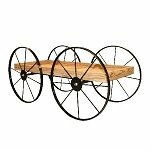 The Buckboard Wood Cart is great for displaying a wide range of products from plants to produce. 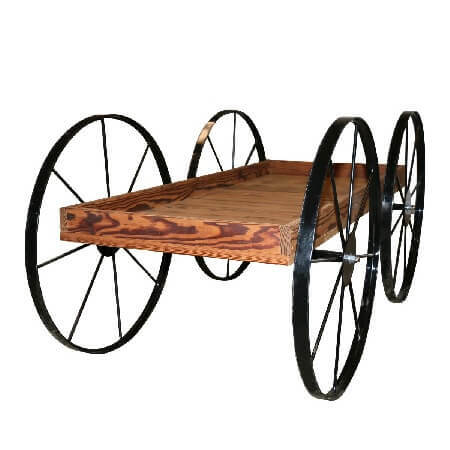 The cart is made from thermally modified wood that is much stronger and more durable than plain wood. 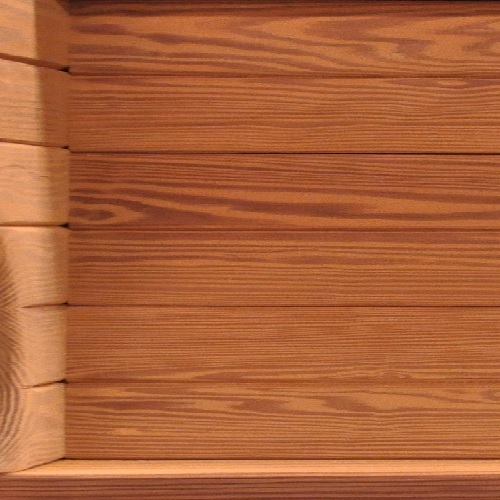 All metal parts are powder coated black for durability and appeal. 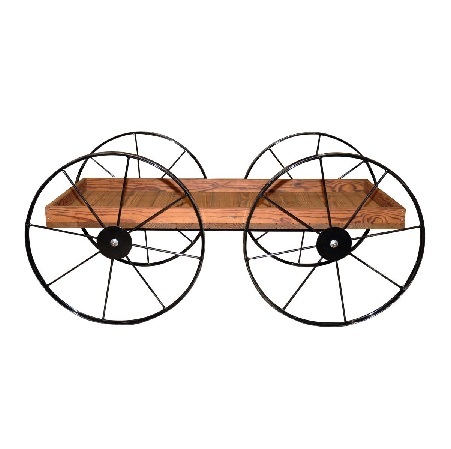 The Buckboard Display Cart is equipped with four movable 30" wheels. 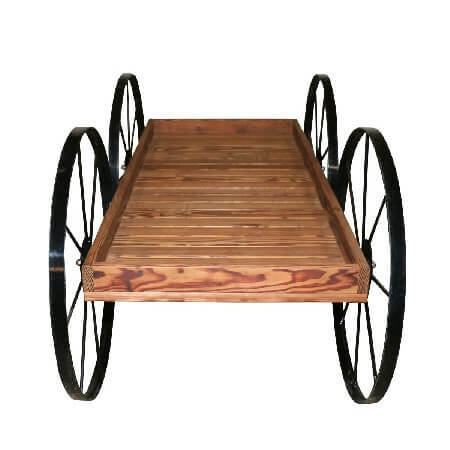 Big profits are waiting for you when you use this wooden display as a flower cart, plant cart, candy cart, or for other high-profit merchandise. So don't delay, purchase yours today! 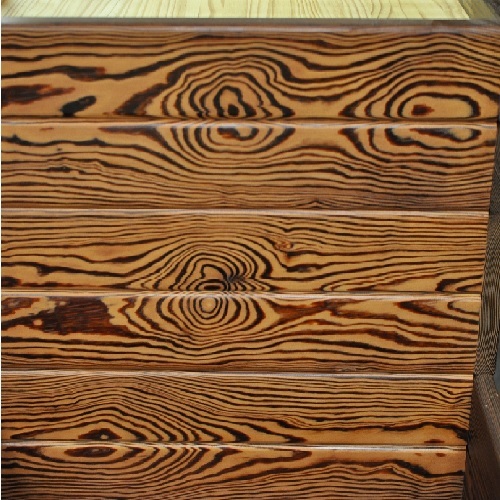 Overall Dimensions: Length: 70" - Width 33" - Height 30"
(From Ground) Length 60" - Width 26" - Height 20"